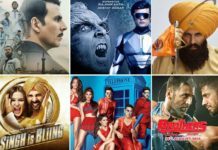 Its the start of summer season for Bollywood as we have some really interesting movies to be released in the next few weeks. Its filmy Friday today with two vivid movies are set to hit the silver screen. First one is Akshay Kumar and Sonakshi Sinha starer Holiday while the other one is socio-comic Filmistaan. Its been quite a while since a Bollywood biggie hit the silver screen. Last one was Jai Ho released in January. Holiday is the biggest release of the year since the Jai Ho and thus the expectations are bound to be huge. Its summer vacations here in India and the film goers are waiting eagerly for some big movies. Moreover, if we look at the record of the last few years then it is quite evident that June first week releases have always been a show sealer at Box Office. Rajneeti(2010), Ready(2011), Rowdy Rathore(2012), Yeh Jawaani Hai Deewani(2013) are some of the examples. Talking about Holiday, it’s a remake of the south blockbuster Thuppaki. Directed by A.R. Murugadoss, it’s a high-octane action thriller staring Akshay Kumar and Sonakshi Sinha in lead roles. Murugadoss only directed Bollywood outing was Ghajini back in 2008. Ghajini was the all the blockbuster and the first movie to cross 100 crore at Box Office. Murugadoss is well-known name down south for his action thrillers and thus we can expect a good content driven movie from him. Akshay Kumar is back on silver screen after 8 months, his last releases being Boss back in October 2013. It’s a gala time for Akshay Kumar’s fan as their star is back on-screen after a long time. 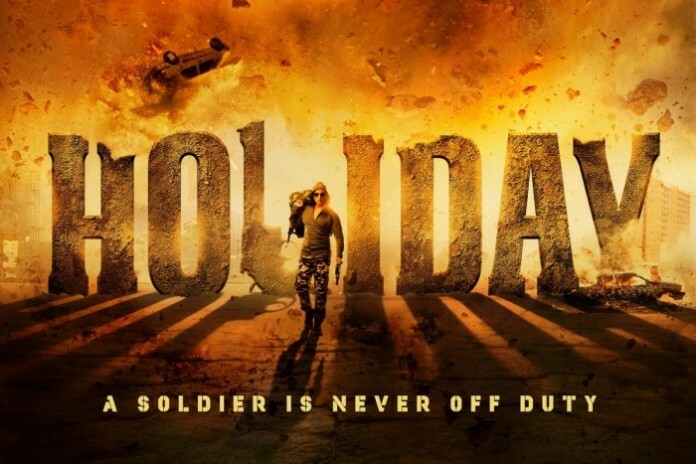 As per the early reviews, Holiday is a sleek, stylish and entertaining action thriller that can connect well with the audiences. Keeping all the above factors in mind, we can surely expect a good opening from Holiday. Advance booking reports are out and the movie is expected to get a bumper opening in Delhi, Mumbai and NCR region. Holiday will be releasing on around 3500 screens and if it gets an opening of around 60% to 70% then 15 to 18 crores are on the cards. A lot will depend on word of mouth of the public. If Holiday gets a positive word of mouth then it has a chance to become the highest grosser of 2014. I am expecting a positive response from the audiences as well as reviewers. The only problem that i can see is the way the makers have promoted the movie. One can expect good promotion campaigns for a movie with Akshay Kumar and Sonakshi Sinha in lead roles, A.R. Murugadoss as director and high budget of around 90 crores. Marketing team of Holiday has failed terribly to create any buzz before its release. Holiday is a very costly affair. Made with a high budget of around 100 crores(including promotion cost) it has to cross 80 crores at Box Office in order to emerge with a Hit tag. What are you expecting from Holiday. 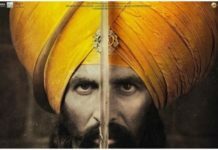 Can this turn around the fortunes for Akshay Kumar. Do share your thoughts with us. Keep visiting Blog to Bollywood for more Bollywood fun.